Combine all ingredients except salad greens. 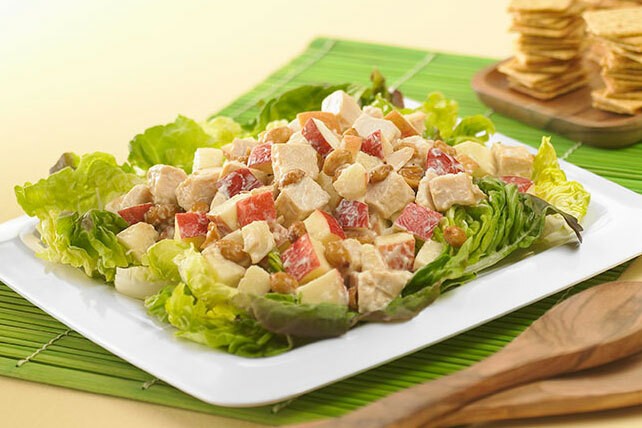 Place greens on three salad plates; top with chicken mixture. Prepare as directed, using PLANTERS Dry Roasted Peanuts and/or substituting 1 stalk chopped celery for the apple.